I’m not usually quite so pleased when the ground is wet, but today, it presented the perfect excuse to wear my new trench coat. Along with the overnight rain came milder temperatures which negated the need for layers and heavier outerwear. And because today entailed a meeting with the editor of the magazine for which I write (at her home), it also meant I could leave the boots off and wear a pair of ballerinas as I wasn’t outside for more than a minute or two. I’ve worn my jumper a few times now. It’s ideal for putting with a pair of jeans for a smart casual look that is also comfortable. The textured sleeve adds texture and detail. 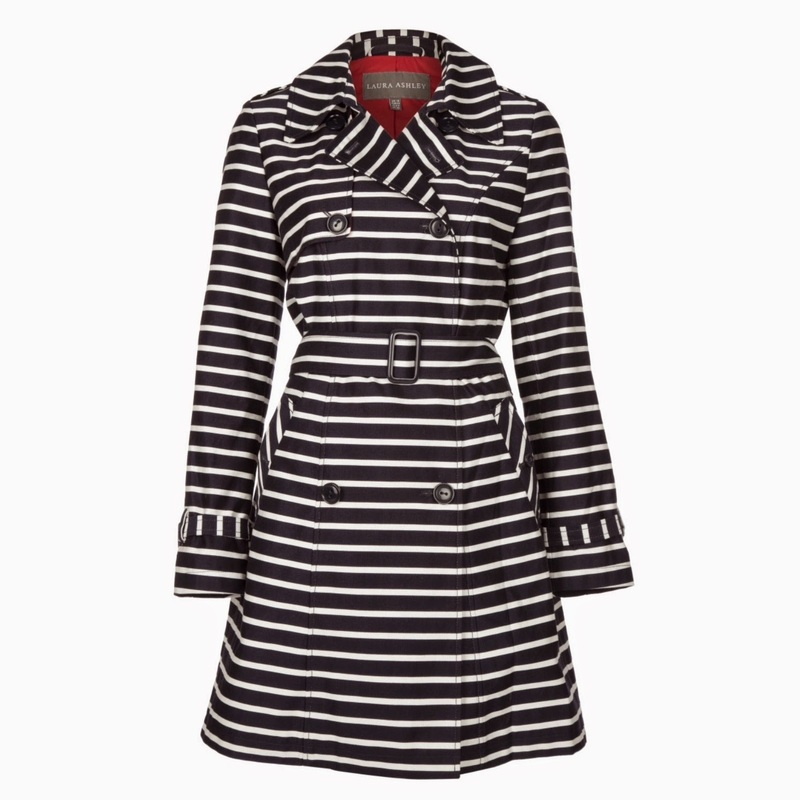 The Laura Ashley striped trench coat is a mid-weight traditional double-breasted style and I absolutely love it. It really works on its own and I feel I could wear anything, (or nothing), underneath and it would still look as good. Along with the jumper and trench coat, this colourblock shopper is from Laura Ashley’s Crayon range, a collection based on nautical styling with pops of soft aqua and raspberry. It is large enough to fit my laptop as well as files and back copies of the magazine. The combination of navy and aqua is beautiful. …as of course can the trench coat itself. And who can resist a red lining? My trench coat, jumper and shopper are courtesy of Laura Ashley- thank you. Hi, I love this coat – it looks brilliant on you. Loving that cool striped trench! I have to go check out some Laura Ashley and see what's new and what's on sale! Thanks so much for linking up with FUN FASHION FRIDAY and I would love to see your pretty face and great style join in every week! 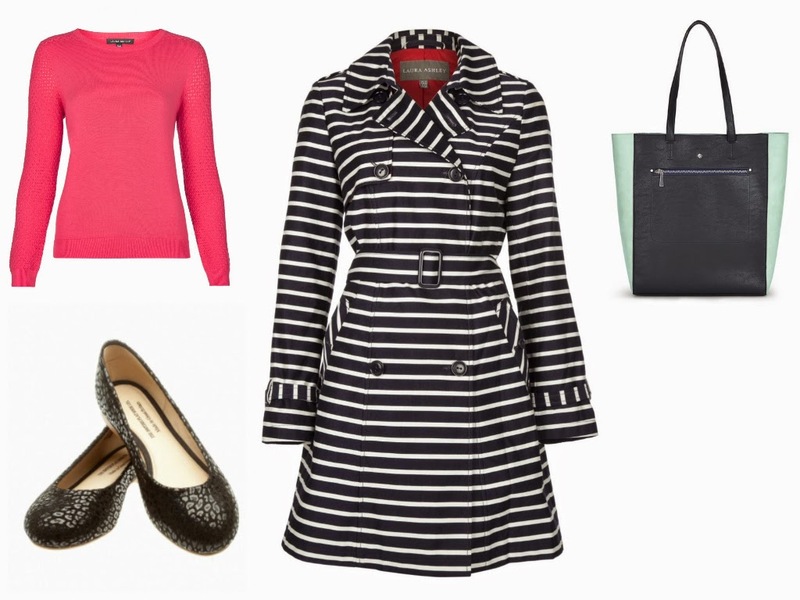 Love the striped trench and the tote! Super cute look!